THE GWM Steed 6 has barely been introduced and already it is being showered with praise. The new flagship, leisure-oriented double-cab has just been announced as "Bakkie of the Year, 2015" by local publication Bakkie & Truck, in the magazine's February 2015 issue. The annual trophy, first awarded more than a decade ago, saw the Steed 6 2,0VGT Xscape compete against a strong line-up of six competitors, including entrants from Ford, Toyota, JMC, Nissan and Foton. "The best-specced bakkie we have driven comes at a price that will have its traditional rivals' eyes watering," the magazine's editorial panel concluded when awarding the prized title to the Steed 6. "The new GWM Steed 6 revolutionises what one expects from a top double-cab bakkie, especially at the price," Bakkie & Truck magazine editor Michele Lupini pointed out. "The Steed 6 Xscape flagship blends bakkie convenience with the level of specification and class normally expected of an executive car, backed up by GWM's high level of service and support to stand head and shoulders above the rest and score a comprehensive 2015 Bakkie of the Year win." "We're thrilled to receive this award," said GWM South Africa CEO, Tony Pinfold. "For a brand new product to receive such immediate high praise is not common, so this is as humbling as it is exciting. The great thing about the Steed 6 is that it is an immediate perception changer - once you've sat in its cabin, your opinion about GWM will never be the same again," explained Pinfold. 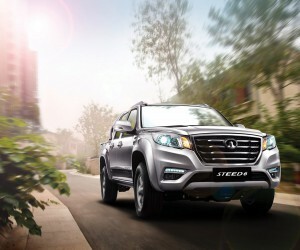 The GWM Steed 6 is currently offered in South Africa in two specification levels, SX and Xscape. 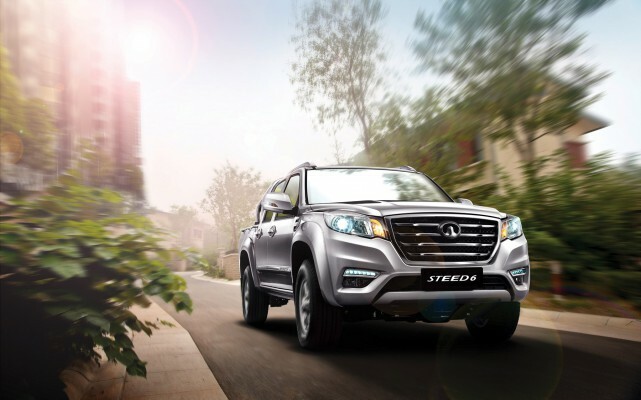 The award-winning Steed 6 Xscape boasts such features as six airbags, Bosch Electronic Stability Control (ESC), electric driver seat adjustment, full leather upholstery, Radio/CD with Bluetooth/USB/Aux support, cruise control, auto lights and wipers and rear park sensors, among others. Priced at R319 900, if offers unbeatable value - a statement that gains extra credence following the prestigious Bakkie & Truck award.